This 18 hole golf course is a par 70 at 6,100 yards from the back tees with a rating of 67.5 and a slope of 116. 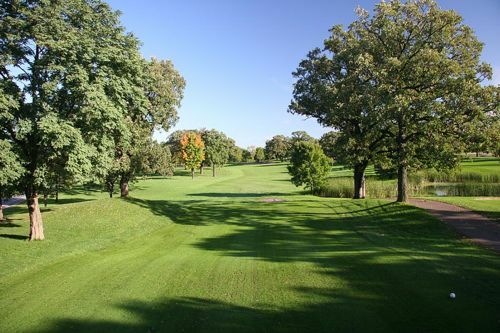 The course stretches along the west side of beautiful Lake Phalen in Phalen Park. The golf course presents numerous doglegs, water hazards, and bunkers. The Clubhouse provides a full service bar, quality food service and a banquet room. The banquet room seats 200 and can be rented for meetings, receptions, and dances or other occasions.